Don’t brush aside the Halloween festivities. It’s a great opportunity for anyone with a little creativity to earn some extra money. According to a recent survey by the National Retail Federation, it is expected that more than 158 million people celebrate Halloween, spending an estimated $6.9 billion dollars through sales attributed to Halloween parties, costumes, decorations, candy and even admission prices on haunted houses. With annual sales this size, it makes sense to take advantage of the hype around the Halloween, whether on Halloween items or on Halloween night, or both. Halloween costumes are a big money spinner during this season. Best time to stock up on Halloween costumes is when it’s over. Seasonal stores are anxious to clear their stocks and you can often pick up these at 50-75% off. If you have a keen nose for the bargain, you probably find even steeper discounts from certain grocery stores and department stores. Be steadfast and relentless in scavenging these out of favor costumes. They may prove to be your major windfall comes next Halloween, when you hawk them at full price! Don’t get hooked on costumes that embody fashions of the time, these can include animals, ghosts, goblins and vampires that are associated with popular characters from blockbuster releases of that year. There is no guarantee that these items would just sell as well in the following year. Make sure what you buy are complete kits or make an extra effort to turn them into complete kits through creativity from the various loose Halloween makeup and accessories and sell them as one set for a flat rate. Observations have shown that they tend to sell better, especially on online auction sites like eBay. But there is no stopping if you want to push these through your own online store. If you are really good in the creativity department, put together your own costumes. Such handcrafted creations with your own signature are obviously unique and they may just command some nice premiums to make up for your labor and sweat. You can even sell used costumes. Some may just pay you handsomely to help them get rid of their last year’s costume. Wash and iron them properly, and if need to, fix them. They would become your new Halloween merchandise when the festival comes around again. And if you are good with your hands, offer hem, sew or alteration services for people. You can always charge a fee for a costume repair service. Don’t you think the customary pumpkin faces need a makeover? Be creative and figure out the next generation of pumpkin faces. When you are done, capture them with your camera, present these images to the neighborhood and talk them to agree to purchase one from you. If money is no object, showcase your carved pumpkins at a small rented space in a busy spot in your town. Really, I think the basic “traditional pumpkin face” is losing its appeal. A more daring and attractive design may just convince people that a change has been so overdue that they don’t mind spending a few dollars just to claim one of these as their own. And don’t ignore the effectiveness of the internet as a promotional platform. Put these images up on the internet and offer your service there. Putting together party planning and Halloween is another excellent idea. If you are good at baking, then come up with stuff that symbolizes Halloween, a pumpkin shaped cake, pumpkin shaped cookies, ghost shaped cookies, etc. never fail to amaze your guests. Or you can do the really gross Halloween foods. You can always count on stuff like Jello mold brains, worms in mud (gummy worms in Oreo cookie crumbs) and eyeball salad (peeled grapes) to evoke strong feelings (one way or another), which blend in well with the spirit of the festival. Bundle these alongside the usual party decorations, such as tablecloths, napkins, themed paper plates and other paper goods, and perhaps even scary costume-clad servers, you are primed for a very profitable Halloween season. Your creativity should know no bounds, inject that scary theme throughout the party, and give that innocent cocktail a scary name like the Bloody Mary! There are always ways to make money with food. It is true that Halloween goodies can be quite a spread, but even these are not enough for every taste. So, if you have your own interpretation of what Halloween food should be, a personal edition of ”special Halloween recipe“ cookbook may just capture enough readers’ attention. In tune with the modern internet age, that edition would have to be available at least in e-book format. If nothing else, an e-book version rids of the problem of you finding a place to sell it, as everyone can access this online. The advantage is obvious. A Halloween recipe e-Book can be ready for order within hours. And with the potential mass audience on the internet, you don’t have to count on the favors of your family, friends, or neighbors to chip in the sales. 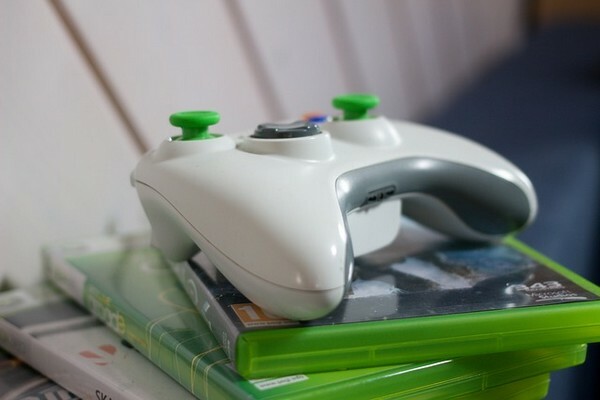 You can even go aggressive and hawk your e-book on eBay or Craigslist. Is Halloween huge for you, or you have great stories to tell about Halloween? If that is the case, create a blog dedicated to Halloween. People somehow are always fascinated with Halloween, and if you have great storytelling skill, people are going to get sucked in. Your stories may just attract people to your Halloween costumes or Halloween parties. When people realize you offer new and original ideas, the sense of intrigue would grow about you, and your products! Wait, given the time and commitment in telling great stories, how could you take maximum advantage? Monetize your blog with AdSense or other PPC advertising. With every click on those ads, there would be money coming your way. It is a season when people expect to get scared. Find a real scary house and charge admission for it. You would be surprised by the number of people who are willing to oblige. Depending on the level of scariness of the haunted house, fees can range from $5-15. There would be an investment on your part as well. You need signposts to point to the haunted house, staff for manning the ticket booth and checking on tickets. You may also want to add decorations and final touches to the haunted house. And there may be restrictions and regulations governing this type of business for the Halloween season. And you don’t just make from admission tickets; you can hawk a great variety of Halloween items at the entrance and exit of the haunted house. There are a lot of DIY and things you can make to sell on Halloween. Tricks or treats, which one do you fancy? As tradition goes, you either have a treat at your door or risked being tricked. As people get more wary with candy due to health concerns, perhaps hand-made treats for kids would make better replacement nowadays. Alternatively, buy those small toys and finger games in bulk and resell them in loose pieces so the Treaters can go away satisfied. There are sites you can upload videos and get a small fee whenever someone plays your video, e.g. Metacafe and Revver. Since Halloween is all about being scary, you can produce videos on How to Carve a Scary Jack-O-Lantern to attract the crowd. As people enjoy and laugh on the mindlessness of your production, you make money! If you have been late in the Halloween money making season, this is the last saving grace. Set up space, tent, or kiosk in an area where human traffic is high. A mall or car park could be a good idea, but always make sure you get the appropriate permission. Organize a face painting carnival. This would appeal to people who want to bask in the celebration late or for children who want their painted faces to match their costume. You could even draw tattoos with Halloween theme. To save cost, get the face paints, brushes and all related supplies from the post-Halloween sales the year before. People are happy to pay $1-15 to have their faces painted. Drive people around with Uber or Lyft. Baby sit for parents who want to go Halloween parties. Rent a room via Airbnb (or other companies that let you rent out your room) to tourists and travelers. 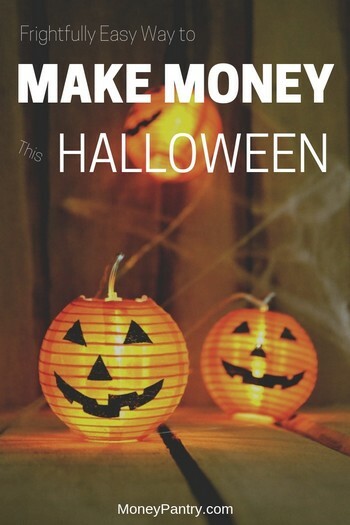 There are a lot of ways you can make money on Halloween. It just takes some planning and out side of the box thinking. I hope these few ideas will inspire you to get your piece of this 6 billion dollar pie. Happy Halloween!